Hemp is being utilized in ever expanding products. The companies on this list are customers of Hemp Traders and are successfully incorporating hemp into their line. From pets to babies, backpacks to chairs, hemp is making its way into the mainstream. Herbsack is the leading maker of eco-friendly, sustainable hemp canvas totes. Our goal is to replace single use plastic bags with sustainable, reusable hemp totes. herbsack totes offer healthy, eco-friendly options for the individual, as well as for the earth. herbsack is dedicated to good health, wellness, and protecting our environment. Our Handbags and Totes bring you fashion and utility! Made of straw, hemp, and canvas to fit your active lifestyle, herbsack offers you many styles and eco-fabrics for the four seasons. You will not be disappointed by the style, quality, and value we offer! Everything in my shop is constructed by me - An eclectic collection of jewelry and gifts. Inspired by my travels and presented by my dreams. I consider myself an explorer of techniques, which reflects in the many different offerings found in my shop. 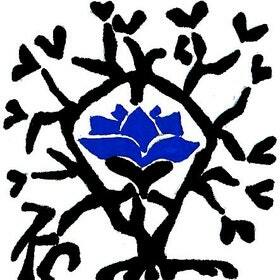 I am the Blue Lotus, constantly re-blooming. Ever evolving as an artist, my most favorite materials have definitely remained constant. Hemp and other sustainable resources are an essential element of my style. I always strive to find another way to look at things. I comb beaches. I treasure hunt. I gather inspiration in my favorite places. The items in my shop are created in North Fork, the exact center of California in the Sierra Nevada mountains. 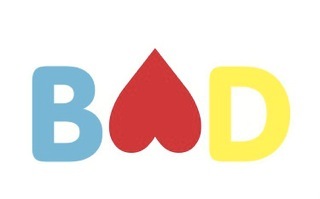 Motivated from their need for aesthetically beautiful, high-quality, organically natural & non-toxic essentials, one of ilovebad's several purposes is to develop and make available such alternative essentials as hemp blankets, underwear, tees, bras, etc. for a growing market of people that demands it. On top of that effort, they also aim to offset the growing population of distorted minds by living and inspiring others of a forgotten set of values they've learned be quite harmonious to nature; a non-disciminating, unconditional energy that appreciates both the good and the "bad" in people and things. Hence, the perceivably "bad" hemp has chosen them as one of its many ambassadors. "Sweet Skins is a minority women owned eco-clothing Company. Designer and mother of four, Mira Fannin started the company over ten years ago selling at the Saturday Market in Eugene Oregon. There was such a demand for the classic simplicity and wearability of the designs that the obvious choice was to keep going... "
"Welcome to Violet Star Creations! I love to make beautiful, comfortable and versatile designs that flatter the human form. Everything is made to order according to your size and color choices for the perfect fit. Thanks for looking and I hope you find something you love..."
"In 2004, we began making the highest quality organic bedding in Ashland, Oregon using only the finest organic fabrics and Eco Wool in our manufacturing process..."
"Why Abeego? We are driven by common sense and a persistent desire to help people change the way they think about their food. We are focused on providing a versatile material that can be used multiple times, in many ways, for varying degrees of food storage; that you can feel good about whole-heartedly. Besides, plastic film has only existed for 50-odd years. The human race has been storing food for ages..."
In 1995 we first learned of the damaging effect of traditionally grown cotton on a global scale, and we changed our production habits immediately. 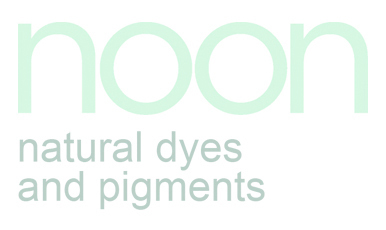 We began to use organically grown cotton materials whenever possible. We are happy to do our part to help support a healthier people and planet." 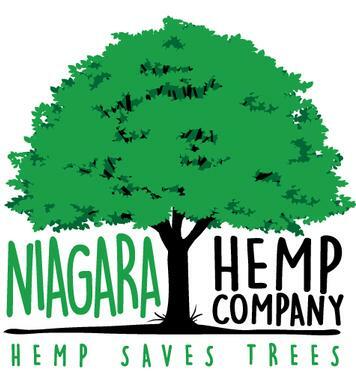 "Niagara Hemp Company Inc. is the first of its kind in the Niagara region. We are currently constructing our website as we finalize our lease with store front retail location. We are starting with just a humble storefront and believe in providing you with the best quality 100% eco friendly hemp products." "We are so excited to provide three truly remarkable diapers... not just more of the same, but a revolutionary approach to design and materials. And after thousands of hours of development and testing -- results that are amazing!" "Behind CurlyMonkey is a nature loving mama of 3, passionate about creating for children and working with organic and sustainable fabrics, with a preference for hemp. 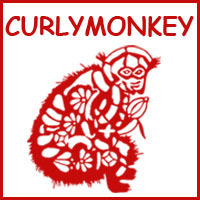 CurlyMonkey offers organic baby goods, handcrafted in California, USA." "At Bella Notte Linens, we believe in a lifestyle that is artistic and inspiring. We see the home as a carefully curated expression of self: romantic, eclectic, or urban yet always comfortably chic. 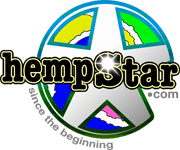 Our bedding, baby, and tabletop products are vintage-inspired, not just in design, but in value..."
"hempStar offers the finest, most durable Hemp Apparel & Accessories for Men & Women..."
"R. Tarlow Antiques opened on the secluded and sun-dappled Melrose Place in Los Angeles in 1976. For those lucky enough to find it, the shop was a sanctuary of impeccable antiques and eclectic pieces chosen from the most exclusive sources. Each item had a charm and a textured story that seemed to flow from the proprietor herself." 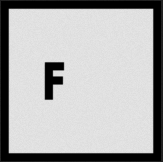 "Fanmail is a line of sustainable wardrobe essentials made in New York. Transparency From Fiber to Finished Garment Fanmail is committed to a new kind of manufacturing: Transparency From Fiber to Finished Garment. It's about knowing where your clothes come from and what they're made of. Each of our unique fabrics is chosen for luxurious texture and sustainability. 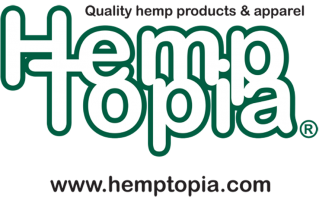 All garments are cut and sewn in NYC so that we can visit our factories regularly and ensure the finest quality..."
"Hemptopia was formed in 2005 to create hemp apparel designed around comfort, functionality, durability and sustainability. 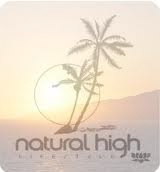 We focus on the beneficial properties of hemp and design our products to hold a higher level of serviceability to you and our mother "Earth" We also specialize in hemp promotional material including hemp t-shirts, hemp hats, and hemp tote bags to have your logo printed on or embroidered on. 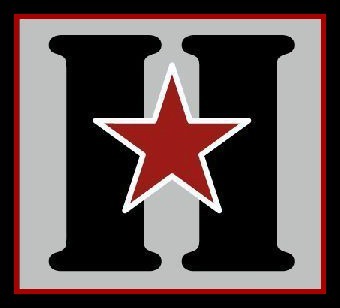 View some of our customers here: Hemp Services Bringing you strong, durable, and eco-friendly hemp products in a contemporary style. We are as much about comfort and functionality as we are about style and the earth friendly production of our products. We hope you enjoy what we have to offer and follow us on our mission for a new future in hemp apparel…..."
"earth creations evolved from an ordinary bike ride. One day after a storm, Joy took her mountain bike out for some off-roading and ended up covered with Alabama red dirt. Despite many tumbles through the washing machine, the shirt, socks, and shoes remained stubbornly stained by that mud! When Joy and Martin met years later, Martin was intrigued by the strength of that red clay. Where most people saw ruined clothes, Martin saw potential. Armed with his background in chemistry, concern for the environment, and a natural curiosity, Martin began experimenting with the clay as a dye for T-shirts..."
At BabeeGreens our mission is to provide a safe, economical and green diaper alternative. We are committed to setting a new standard that helps our global community reverse the negative effects diaper manufacturing has had on our environment, in order to create "A Better World for Babies." JungMaven dreams of a greener world. We have been challenging the status quo since 1993 because we believe a better future is possible. 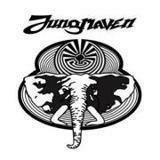 Our goal at Jungmaven is to get everyone a hemp t-shirt by 2020. Hand-silkscreened, hand-painted fabrics and wallcoverings in an eclectic mix of designs. For over 30 years, Peter Fasano has been making beautiful hand-painted and hand silk-screened fabrics and wall coverings. Peter believes that design and pattern can be found anywhere and everywhere. Our collection of fabrics and wallcoverings reflect this eclecticism. Florals; geometrics; traditionals; whimsical patterns; - you name the category, we have a design. Stripes of every imaginable variety round-out the collection. The inspiration comes from everywhere, but the product always reflects Peter's own original twist. Terra Pax is pleased to present the addition of three bags to our collection. They are the Overlander, the Courier and the Eggplant. As with all our bags, they are constructed with natural, durable fibers and are offered to you at special prices only available here on our web site. Innovate design solutions in new categories of materials, processes, and service: establishing TerraPax as a trusted, service oriented company dedicated to sustainable economic enterprise. Design and build functional, durable packs and bags, using a minimum of 90% natural materials. All Gaia Conceptions clothing is designed by artist Andrea who uses only certified organic cotton, wool, and hemp. Our passion for sustainable design has inspired simple yet multifunctional pieces rooted in ethical production from start to finish. Introducing the farm fresh, always stylish, eminently approachable, intriguing feel of texture. Welcome to the look of understated hip, with a contemporary flair and old world integrity. Delightfully different, texture combines fabulous fabrics and dynamic, clean design to create simple, functional clothing with spice. BabyKicks is a family owned and operated business located on Maryland's beautiful eastern shore. Since our beginnings in October 2000 we have been dedicated to designing and making modern cloth diapers and baby accessories with the best natural and organic materials available. Today BabyKicks products are available in over 15 countries (and on 3 continents) around the world and the list just keeps on growing!